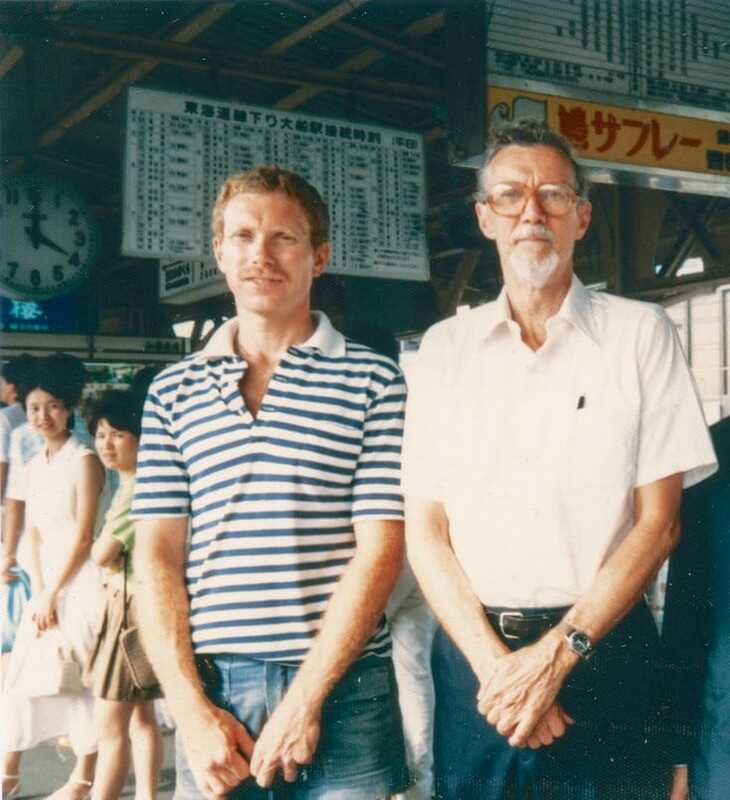 David Weinstein and Robert Aitken in Japan, 1985. A personal appreciation of the late Robert Aitken Roshi, as published in the Summer 2016 issue of Buddhadharma: The Practitioner’s Quarterly. The first time I saw Aitken Roshi was in Honolulu. Though I had been practicing at the Koko An Zendo there for over a month, I had as yet not seen him because he was in residence at the Maui Zendo at the time. 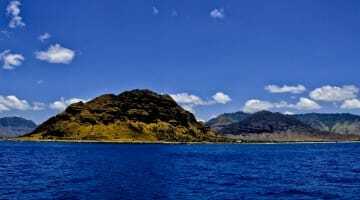 I began my meditation practice four years prior to arriving in Honolulu, first in Nepal, then in India and Korea. All of my teachers had been Asian. Without really knowing it, I had projected a certain mystique onto them. I bumped into that mystique, or rather the lack of it, at that first meeting and for the next three years of my practice with Aitken Roshi. I found private conversations with Aitken Roshi difficult, not only because I hated being told I was wrong and then being rung out of the room but also because I didn’t feel connected to him. To some degree, my prejudice against a “round-eyed” teacher got in the way; to some degree, we just didn’t mesh, or we weren’t on the same wavelength, whatever the image. It didn’t feel like it was working, and I told him so. I explained that I felt he didn’t hear me and demonstrated what it felt like by putting my arms out in two directions, ninety degrees apart from each other, showing the disconnect. He leaned forward, looked over the rim of his glasses, and said, “That’s you, not me.” It was a perfect response—a perfect example of the way that I felt he didn’t get me. I actually felt relief. 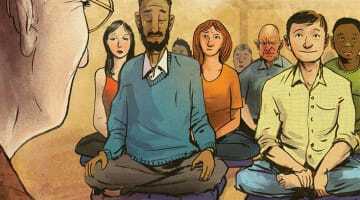 Now I could just enjoy the community and the meditation practice; I figured that two out of three of the three treasures was pretty good. After three years in Hawaii, I was selected to go to Japan as an exchange scholar. This became the opportunity for me to practice with Aitken Roshi’s teacher, Yamada Koun, in Kamakura, for what turned into seven years. 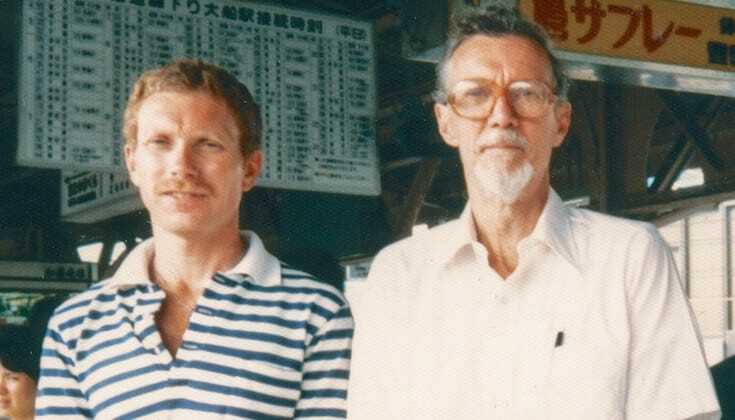 During my second or third year there, Aitken Roshi came to Kamakura to visit Yamada Roshi. 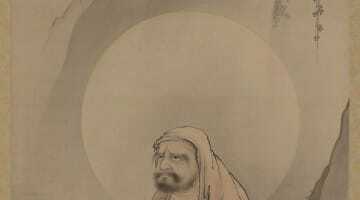 Enough time had passed, and my relationship to my practice and to Yamada Roshi had developed to the point that I felt able to do what felt like the right thing, the polite thing. I even discovered a sense of gratitude toward him for my connection to Yamada Roshi. We arranged to have lunch together. As we sat across the table from each other in a tiny noodle shop, chatting easily about this and that, what so-and-so was doing, and so on, there was a pause in the conversation. He leaned forward, and as he looked over the rim of his glasses, he said, “It was me too.” Tears welled in my eyes, and we held each other’s gaze for several moments. My relationship with him, from that moment on, has been something that touches my heart. David Weinstein is the supervising teacher of the Pacific Zen Institute in Santa Rosa, California, and directing teacher of the Rockridge Meditation Community in Oakland.